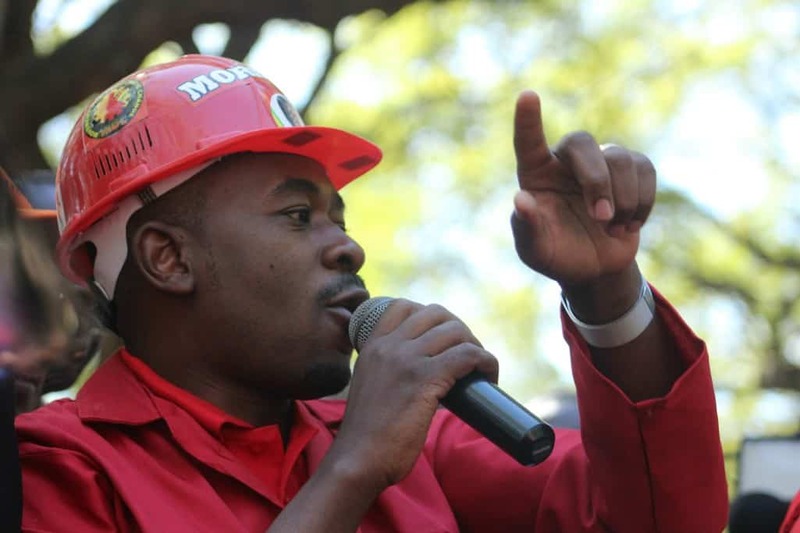 MDC Alliance Presidential candidate, Nelson Chamisa has accused President Emmerson Mnangagwa of brewing instability in the country by refusing to heed to demands by the opposition to level the electoral playing field with the assistance of the Zimbabwe Electoral Commission. Addressing thousands of party supporters who gathered at the Africa Unity Square after marching to ZEC offices in Harare today, Chamisa said Mnangagwa was conniving with the electoral management body to rig the forthcoming harmonized elections- a move he said is threat to the stability of the country. “Our ballot is a security issue, elections is a national security issue, respect the people of Zimbabwe,” said Chamisa. Chamisa threatened to cause unrest in the country if ZEC and Mnangagwa do not agree with his demands for electoral reforms among them a clean voter’s register and transparency on the printing, storage and distribution of the ballot papers. “So we will not compromise on the issue of the ballot. We have submitted our concerns to Southern African Development Community (SADC), African Union (AU), and United Nations (UN), if they fail to give us response, we will become our own answer,” said Chamisa. The MDC Alliance leader further threatened to mobilize the masses to come and stay in the capital if ZEC refuses to give in to their demands. The peaceful electoral protest also received an endorsement from This Flag founder and cleric, Evan Mawarire among other political stakeholders who rallied people to be firm in their demands for an electoral level playing field.